HÀ NỘI — A short message service (SMS) campaign was launched on Friday to help poor patients suffering from Tuberculosis (TB) and integrate them into the community of Việt Nam. The campaign was launched by the Patients Support Foundation to End Tuberculosis (PASTB), in collaboration with the National TB Control and Prevention Programme and the National Humanitarian Portal 1400. “Every SMS will create more opportunities to treat and cure TB patients and minimise the transmission of TB among the community,” said the National TB Control and Prevention Programme director Nguyễn Viết Nhung. “Eliminating TB means preventing 13,000 deaths in Việt Nam each year, and thousands of households will not have to worry about their family members,” Nhung added. Nhung stressed that by investing VNĐ1 in TB prevention, VNĐ46 can be earned for the entire community, according to the World Health Organisation (WHO). People can support the programme by texting “TB” to 1402, from May 1 to June 29, 2018. Every mobile text message will contribute VNĐ18,000 (US$0.79) to the fund. Organisations and individuals can also donate by directly transferring money to the fund’s account (Account Number: 16010000288699, Bank for Investment and Development of Việt Nam, Branch 3). TB is the leading cause of deaths around the world, which total nearly two million people annually. 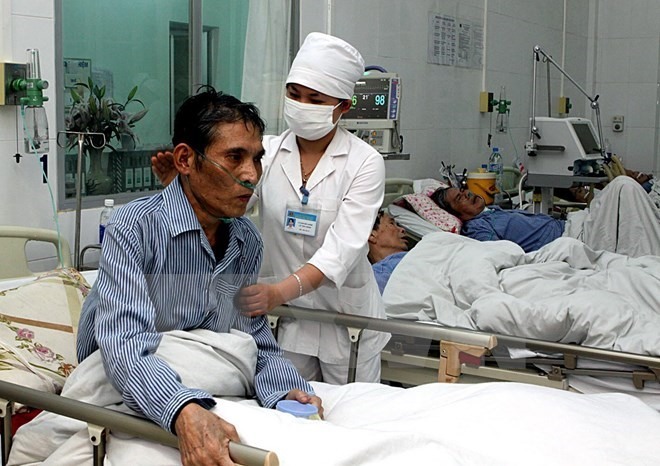 Resistant TB also threatens global health, and the WHO estimates that nearly 126,000 new cases of TB are diagnosed, which resulted in 13,000 deaths in Việt Nam in 2016.